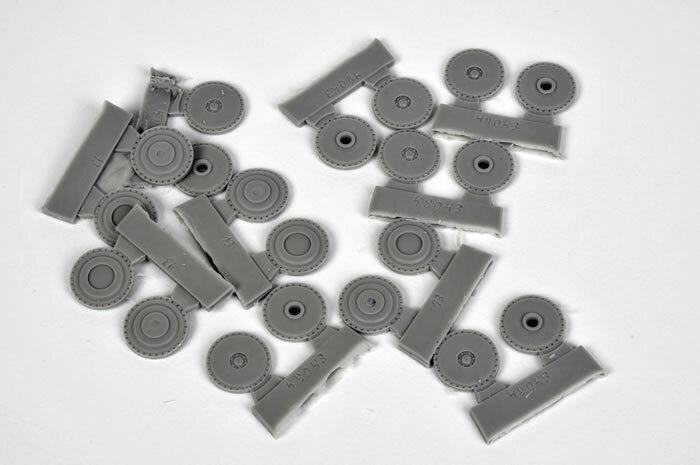 Advantages: Useful conversions for Tamiya's Crusader kit; simple cleanup and installation; high quality casting. 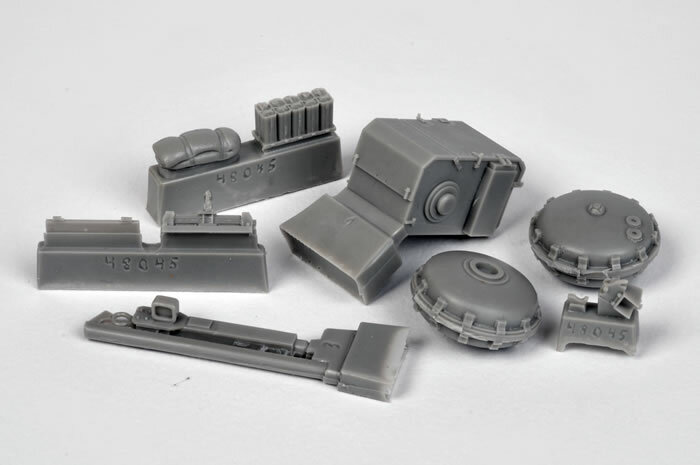 MR Models from Germany has released three new update and conversion sets for Tamiya’s 1:48 scale Crusader family. Casting quality for all three sets is very good. 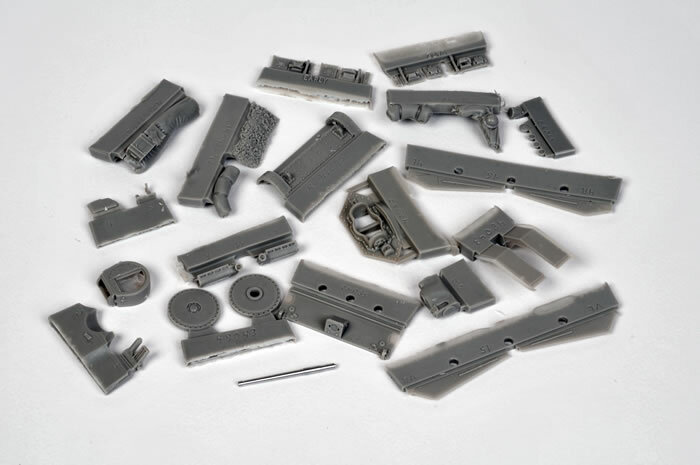 Although some of the casting blocks appear intimidating at first glance, they are actually quite thin and should be quickly dispatched with a razor saw. 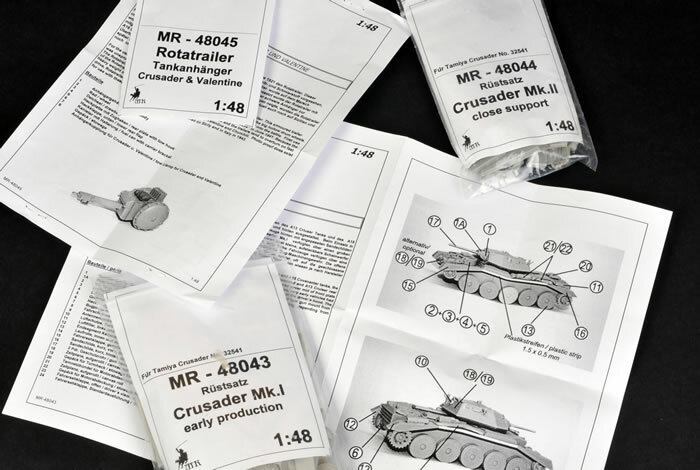 The first is a comprehensive backdate for Tamiya’s Crusader Mk.I to an early production version. This includes a full set of replacement roadwheels with the flat disk covers, short front and rear track guards, different mantlet style, air cleaners, alternate headlights and driver’s visors, stowage and more. A turned metal 2 Pdr barrel is also included. 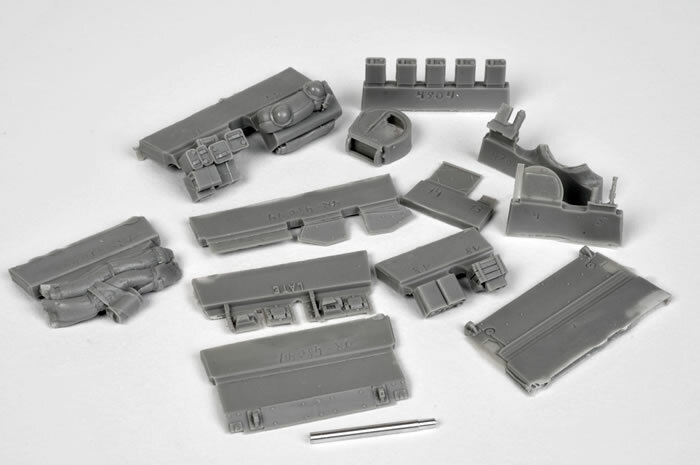 Next from MR is a Close Support conversion for Tamiya’s 1:48 scale Crusader Mk.II. 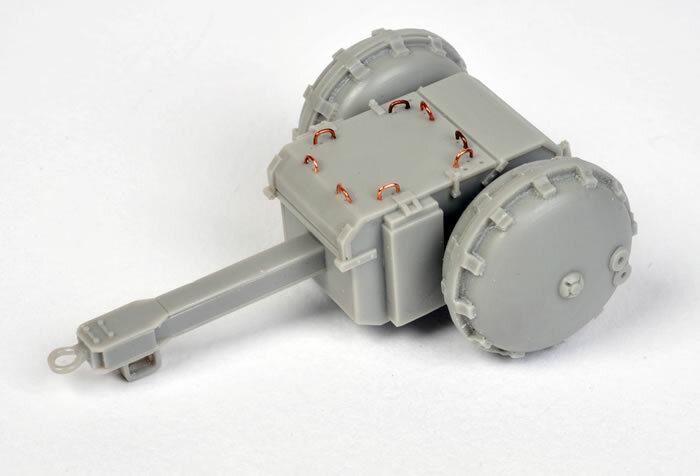 This is a smaller and simpler set that comprises a new turned metal 3” howitzer barrel, plus resin parts for a new macine gun turret, upper and lower front armour plate, driver’s visor, smaller conversion details and stowage. Last up is the rather interesting Rotatrailer, which carried extra fuel and ammunition. In fact, the large hollow drum wheels themselves were used to carry fuel too. This trailer was towed by Crusader and Valentine tanks. Not surprisingly, this lethally combustible appendage was jettisoned before the tank joined battle. The Rotatrailer was first used in 1941 during Operation Battleaxe. This little model is made up from just ten parts so I decided to build it straight away. My Dremel motor tool fitted with a grinder attachment made short work of the casting block on the trailer body, while the other parts were cleaned up with a sharp hobby blade. Basic assembly only took minutes. I drilled out one hole for each tie-down, then cut and bent the hooks from fine copper wire. These were secured in my pre-drilled holes with super glue. MR Models’ 1:48 scale Rotatrailer is a very fast and simple build, and will really personalise your 1:48 scale Tamiya Crusader. MR Models has also launched a new online shop with full colour photos of their products. This is much more user friendly than their old catalogue page, and purchasing should be more straightforward, especially for English speakers. MR Models products are available online from their website.